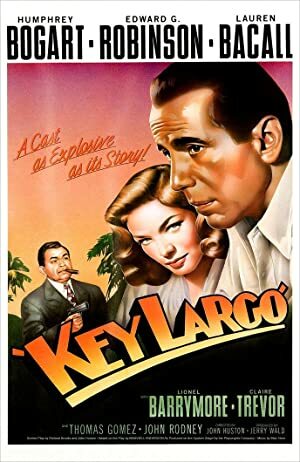 We’ve gone far too long on this podcast without encountering Humphrey Bogart, so we’re remedying that with an episode about Key Largo! We highly recommend you watch the film before listening to the episode, because we spoil the ending. The film can be currently be found for streaming rental on Google Play, iTunes, Amazon, and Vudu. Netflix also has it on DVD if you have their disc delivery service. 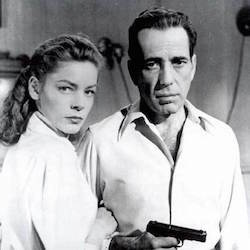 Our next episode will be our first foray into modern noir: Brick! Listen for it on September 7th! Plot: A man visits his war buddy's family hotel and finds a gangster running things. As a hurricane approaches, the two end up confronting each other.